Exploring Vancouver, BC, and beyond. Is there Uber in Vancouver? Update: According to this CBC News article, Uber is finally coming to BC. At the moment there is no Uber in Vancouver. At least not yet. If you attempt to use the Uber app in Vancouver, you will be encouraged to show support to help “make Uber in BC a reality”. Screenshot of Uber app in use in Vancouver. It’s not just Vancouver though. 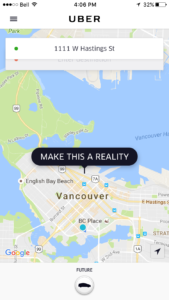 Uber is not available anywhere in BC. If you look at the current cities on the Uber website, the closest Canadian city is Edmonton, and the other Canadian cities listed are thousands of miles east in Toronto, Ottawa, Montréal, and Québec City. Public transit is managed by TransLink, which is excellent in Vancouver, not to mention easy, safe, and cheap. TransLink runs all the buses in Metro Vancouver, as well as the Skytrain, the Canada Line (which connects the airport to downtown), and the SeaBus (which connects downtown to North Vancouver’s Lonsdale Quay). You can buy a day pass for $9.75 or just buy the relatively new reloadable fare card, Compass Card. Or just pay as you go. They’re everywhere! And they’re eager for business. Service can be hit or miss though. Check out Black Top & Checker Cabs, Yellow Cab and MacLures. The first two have apps you can download. These companies are frequently the taxis in line at the YVR arrivals terminal. You can also phone them and preorder a pick-up ahead of time. If you’re craving luxury and service, this might be the way to go. A bit pricier than a taxi, but if you’re with a larger group, perhaps not. Aerocar is the official limo company for the Vancouver International Airport. It’s not a car share, but a bike share. Mobi Bikes is Vancouver’s first official bike sharing company and they launched in late summer 2016, with bike docking stations located all over downtown Vancouver and a few neighbourhoods outside of downtown. If you don’t mind cycling from point A to point B, this might just the perfect alternative to Uber right now. Still confused? Ask a question below in the comments below and I’ll answer as best as I can. Hello? I quick google search would tell you Uber is fact operating in western Canada – in Edmonton. And possibly again in Calgary if the City of Calgary can work out a deal with Uber. Thanks for the correction, Jim. Somehow I missed that when looking through the listed cities. I’ve modified the post now to include Edmonton. Vancouver is one of the worst cities I have ever been to in many other ways so we can add the absence if Uber to that as well! BCRobyn is where I share personal experiences, observations, memories, and travel tips about Vancouver and British Columbia. Everything I write comes from a lifelong local’s perspective of this west coast Canadian province, where four generations of my family call home. poetk on How big is Vancouver Island? 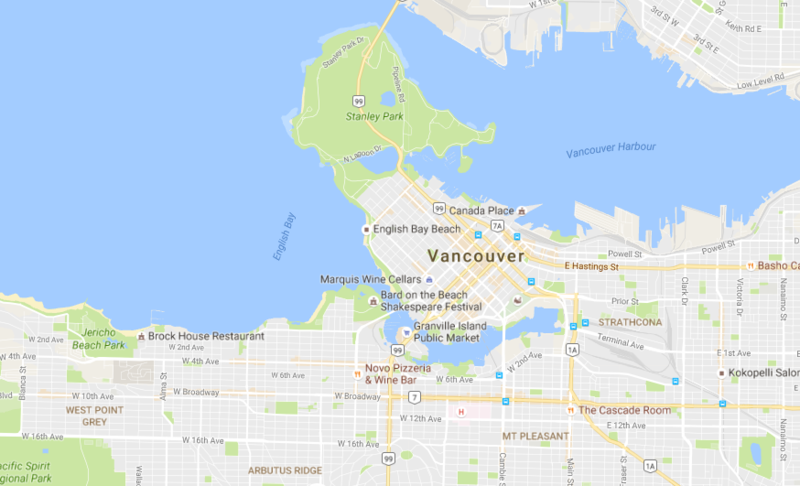 Joseph Bourchier on How big is Vancouver Island? Patrick Longworth on How big is British Columbia?